We have 10 of the best youth clubs in the DMV participating with us in the Fall! 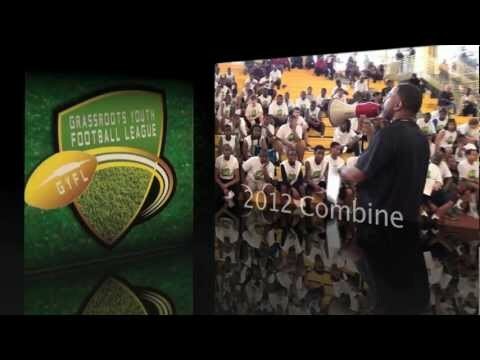 In the Fall of 2016, we launch the The Grassroots Middle School Football League (GMSFL). This will be our 4th year playing Fall Football. There are a ton of misperceptions regarding our motives for moving into the Fall. League commissioners are concerned about us and changing their weight limits and regional boundaries in an attempt to compete with us. We are not trying to compete with any other league. We only compete against our best effort. We measure ourselves against the lofty goals that we set in everything that we do. We wish all of the leagues continued success. It was never in our initial plans to have a Fall Season. Our intentions were always to have the most unbelievable Spring Football experience for the those football players who live, eat, sleep and drink football. Spring football was not designed to pull the 3 sport athlete that plays different sports in every season, like most of us did back in the day. Spring football was not designed for the Basketball fanatic or the Lacrosse fanatic. It was established for the football fanatic that wanted to maximize their chances of competing for a college football scholarship one day. The first goal was to prepare kids to be the best that they can be and put them on the High School radar screen early enough to help them find the right fit for them. Kids need to be in the best high school fits for them in order to increase their chances of getting a college offer. That does not represent the masses of kids. Yes, the masses may dream about playing in college and in the NFL, but in these days and times of sport specific specialization, the chances of kids making it to college that don't focus on football year round are decreasing every year. That is just a harsh reality. With that being said, our Spring initiative was never designed to pull the masses of kids away from their youth programs. Our goal was to find those serious athletes, partner with the Fall youth coaches, and have them come together to coach the kids in the Spring time and help them get the advantages that they need to separate themselves from the pack when competing to get on High School radar screens. We have had great success with those kids, and we have had a number of the top youth organizations in the region jump on board and support us. But, quite honestly the masses of youth programs don't support us for their own reasons and they never have. I suspect that they never will. I don't believe that any of their reasons are legitimate, but I can only control what we do. Championship Rings, etc., etc., etc. After experiencing the level of professionalism and excellence in the Spring, quite honestly it was becoming increasingly difficult for many of our partners to go back to some of their traditional Fall Leagues and they began putting pressure on us to move into the Fall and provide the same types of amenities that they had gotten accustomed to in the Spring. For over a year we resisted because we were holding out hope that the masses of youth organizations would change course when they realized how much of a blessing we could be to their kids. At some point, you have "know when to fold them." That day was obviously not going to happen by us just continuing to reach out to the masses, so we finally decided to give in and do our own thing, Grassroots Style and we are doing it with some of the best organizations that the DMV has to offer. We launched in 2013 and had an amazing first year. Initially, we started with 7 clubs that we know, that we trust, and that we are convinced put the best interest of kids first and foremost. If they didn't, they wouldn't be with us. After a successful year two, we expanded with other programs that fit our profile. We will continue to expand as needed. So youth clubs out there, don't get caught up in hating us for what we are doing. We are not in competition. We serve a niche population of student athletes. We would love to join forces in the future. For now, we are excited about what we are about to do in year #3. I am using the term "masses" with regards to the youth organizations because there have been a number of clubs that have been very supportive us over the years, and even though we are only starting with 7 clubs for 2014, there are a number of additional clubs that we consider affiliate partners and kids in those programs will receive similar benefits to the kids who will play in the league this year. There has never been a league quite like this in the history of the DMV. We are not better or worse than any league. We are different and serve a different profile of player. We want to put the rest of the leagues and coaches at ease. We have no interest in hurting the current leagues or even competing with them. Those leagues will always be needed for the masses of kids who play football. Just like with the Spring league, we are not looking for the kids that only play football for fun and because it is football season. We are looking for kids that desire to be the Best that they can be. They don't have to be the best. But, they must have a passion, commitment, and desire to be the best that they can be. This league is going to bring out the truly elite athletes that dream about being US Army All Americans and Under Armour All Americans one day. Those kids that think they have what it takes to Be a 7th or 8th Grade Eastbay All American, or kids that want to play for an FBU National Championship. We will only touch a small percentage of the elite talent in the region and will not impact the majority of football leagues that cater to the masses of football players. We will only have 3 divisions (6th Grade, 7th Grade, and 8th Grade), with up to 5 clubs in each division. We will not have any more than 30 players per team, which means that with 5 clubs the maximum number of kids we will have in any l League will be 150. If we replicate those numbers in all 3 Leagues, we will have a max of 450 kids in this league. There are over 6,000 kids playing in every county that we are represented in, which equates to 48,000 kids in total. We will only be able to service 450 kids total. The other leagues will be fine! There are plenty of kids out there for all of us. The GMSFL is looking for the stone cold ballers who want the "Next Level" competition and exposure like only we can provide. Only officially scouted league for Youth Crab Bowl, Youth Chesapeake Bowl, and FBU State All Star Teams for MD and Northern VA.
Prelude to the EastBay Youth All American Games, US Army All American Game, Under Armour All American Game, Crab Bowl, and Chesapeake Bowl. There are some very important goals that we are trying to accomplish for the youth football players of the DMV that are deadly serious about exchanging their athletic talent for a scholarship to college and a chance for an advantage in life. We are intent on laying out a path and creating a foundation that will allow each and every student athlete to have a fair chance to compete for those scarce scholarship when they finish high school. Please know these statistics! The State of Maryland and DC average 16,000 student athletes who are seniors every year and competing on high school football teams. Most of the 16,000 are competing for the same goal, which is a college scholarship. Unfortunately, our region only averages 60 Division 1 Scholarship offers on a yearly basis. That means that less than 1% of the HS Seniors are going to achieve their goals and be happy in February of their senior years, which is when National Signing Day occurs. We see videos and read articles about all of the kids and parents who are happy. But, for every one who is happy, there are over 100 who are heartbroken. There are a number of reasons why, but the main reason is because there are just so few scholarship offers to go around. One of the reasons we are going into the Fall is because we are committed to increasing the number of average offers for our area. We can't remain stuck at an average of 60. We must turn 60 into 70, then 70 into 80, etc., etc. When we have more offers coming to our area, more of our kids will have a chance to alter their destinies the same way that I did. How do we turn 60 to 70 and so on? We must change the perception of the DMV into a true hotbed of football. Right now we are considered a hotbed of basketball talent, and college coaches flock to this area to offer basketball players in disproportionate amounts, which is great for our basketball players. Right now, it is the Southern states that are considered football powerhouses and college football players come here, AFTER they have left Florida, Georgia, Texas, Louisiana, California, Ohio, etc. Since they are not going to be creating any new colleges or universities anytime soon, if we are going to increase our numbers, we MUST take offers away from other regions and bring them here. We can only do that by changing the perception of the country with respect to football in the DMV. You may wonder, what does this have to do with youth football? The answer is that it has EVERYTHING to do with youth football, but because they traditional youth football community does not live in the College Football community like I do, they are not aware of the correlation and neither are most parents and kids. It is our job to make sure that you understand the correlation. Once you do, you will understand how youth football is tied into and why we had no other choice than to start our own fall league. We will attack this problem at 3 levels but it all starts from the Foundation, and that is at the youth level. The only way that we can change the way the country feels about the Great Athletes from Florida for example and make them respect us, is if we punch those great Florida athletes in the mouth and kick their butts! We have to beat them on the football field and we have to beat them good! The wins have to be respected by the powers that be. The powers that be don't respect weighted football. Most leagues are awesome leagues that play great football, but when teams from our area when those Championships, it has no impact on the countries perception of us. First of all, the kids all weigh the same amount. Lineman weigh the same as running backs. I understand why it is important to do that. Some parents are concerned about injury and don't want their kids playing against kids that outweigh them by 100 pounds. I get it. But, you must understand that they second they step into High School, there are no scales anymore. On the freshman teams, they will have to play against those kids that are much bigger than they are and weighted football does not prepare them for the reality of HS football. That is why the weighted football championships can't change that perception that we need to change to increase the scholarship numbers. The other reason we must do it differently is because traditional leagues send regional teams into tournaments to play against other regional teams. So, if a regional team from a city in Howard County for example, makes it to Florida and beats a regional team from a city in Florida, we can't claim that Maryland Football is better than Florida Football. Does that make sense? In order to claim state wide superiority, we must take State All Star Teams and play against State All Star Teams from North Carolina, from Georgia, form Florida, from Louisiana, from Texas, etc. We must have a platform to compete against those teams and WE MUST WIN! The platform must be a respected platform and we can participate in that platform, play against those state All Star Teams with the best that the DMV has to offer, we will begin to CHANGE EVERYTHING!!! We have already started the process. Football University is the ONLY National Platform that provides an opportunity for us to change our perception. Their 64 State Team National Championship Tournament at the 6th, 7th, and 8th Grade division is he Little League World Series of youth football. NOTHING CAN COMPARE to it. Our 7th Graders followed my lead and obliterated Central Virginia, Eastern Carolina, Chicago, Massachusetts, South Florida, and NE Louisiana on the way to the 7th Grade National Championship this past winter. It was not about winning a ring. It was about revolutionizing a State guys. That is how serious this is for me. If we are going to be successful in changing the entire paradigm and perception about our region as a football power, which will in turn, manifest itself with more scholarship offers to our region, your child will have a better chance at earning one when he graduates. That is a fact whether you play in the league our not. You need for this to happen and we are the ones to make it happen. Last year we put a formidable team together at all 3 age groups. Our 6th graders were not eligible to play for the National Championship, but they demolished the competition for the Mid Atlantic Regional Championship. Our 7th graders won it all and our 8th Grade Dream Team was upset in the Elite 8 in Ohio. We had great players on each team, but neither team really scratched the surface on the talent throughout the region because so many players had youth club schedule conflicts. Many of the kids were playing for a number or different League Championships and could not play. Some had youth coaches trying their best to keep their kids away from the State All Star teams for their own reasons. My point is that we were still dominant at every level, but not nearly as dominant as we could have been if we had a broader scope of players. It is so important that we be dominant in the FBU for the State of MD, DC, and Northern VA, that we combined that with the other factors and decided to launch into the Fall. We are going to select the FBU State All Star Teams from the kids who play in our league. We will have an opportunity to evaluate these kids every single week, playing with and against elite competition. They will practice against elite competition every week and get better and better. We made our schedule conducive to being over early enough for us to begin FBU practice in mid November with no conflicts so that when Dec 7th arrives, we will be ready to annihilate any team in our way to get these scholarships. When we begin to dominate the FBU Tournament at every level and win Championships in front of 200,000 viewers on the internet, along with the powerful marketing and promotion campaign of FBU, people will look at us differently all over the country. High School football coaches from all over will understand that the youth football leagues in the DMV are putting out monsters that are a force to be reckoned with. As we create and develop better and more focused football players through our Spring and Fall programs our High School football teams will get stronger and stronger because of us sending them better players. When they go out of town to Ohio, Florida, and Texas to play non-conference games and begin to dominate those teams with players that we groomed, it will shock the country and add to the legend. That is when the process will officially be complete and we will have changed the game. I don't know how long the process will take, but I plan on doing this until the day that I die, so it doesn't matter how long it takes. All that matters is that you guys understand how serious this is and find a way to get to one of our tryouts, if you are not already a part of one of our member organizations. Lastly, FBU is not the only elite organization that we are partnered with at the youth level. Not every kid is going to make one of the FBU Teams. Just like not every kid will get an offer from Florida State. Some will get Central Florida or South Florida though. We will have a ton of kids that won't make the FBU Team, but they will be eligible for the next level post season All Star Game experiences that we have partnered with. We are bringing back the Youth Crab Bowl this year for the 6th, 7th, and 8th Grade levels. the Maryland Crab Bowl is the top State All Star game for Maryland Seniors. Only a small percentage for Seniors will get an invite to the US Army All American Bowl. The ones that do will be ones that have played in our Spring and Fall Leagues and be Grassroots alums, but we will have many more alums that won't make the biggest All Star Game in the country than those that do. For those that don't make the US Army Game, the Under Armour Game, or the USA Football Team USA Game, the Maryland Crab Bowl will be critical for them to be a part of when they are Seniors. We are partnered with All of those senior games, but we have youth club components to most of them as well and the Youth Crab Bowl is one of them. The Grassroots Middle School Football League is the proving ground for EVERY next level opportunity for those kids have have what it takes. We don't have the time, the manpower, or the interest in trying to run all over the DMV scouting for talent. We have created a league that will allow all of the top level talented players to be a part of it and be scouted on a weekly basis by the top high school coaches and scouts from All of the All Star Games listed above. We will not be able to scout other leagues, so if you really want to be a part of something special, you need to try out for or GMSFL league. There is an entirely different level of education that you all need about the High School process of getting ranked by the Rivals, the ESPN150's and the Scout.com's of the world. We will discuss that at another time. Just know that the Grassroots alums will be the ones who get first dibs on invites to the elite HS showcases and combines that they will need to be ranked nationally and those national rankings will weigh heavily on how many offers they will receive. Well, that is enough for now. I have laid it out and explained it the best way I know how. I am always accused of being long winded. I just love these kids so much and I want you parents to be informed about the "Matrix" that is big time football. There is so much that you don't know and my job is to share the information with you. It is up to you to make the decision on what you want for your son's. You will never be able to say that Coach Mike didn't try to tell you though. The ball is in your court now. We have no regional boundaries.